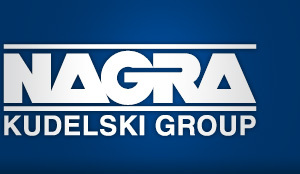 We thank you for visiting the e-recruiting portal e-Rec of Kudelski Group. This website allows you to apply for an open position published on the various Kudelski Group websites or to submit a spontaneous application online after you have created a personal user account. This E-rec Recruiting Privacy Notice describes what personal data Kudelski SA and its affiliates may collect, how it may be used, with whom it may be shared, and your privacy rights associated with that personal data when you submit your application by using our erecruiting services. We only collect personal data which you agree to provide to us and which is needed for our company's recruiting services to process your application. Your personal data shall consist of your name, surname, address, country of residence, email, phone, language of correspondence, education and professional data to which you will be able to upload usual documents such as curriculum vitae, covering letters and other reference documents. Your personal data is used for the sole purpose of assessing your job application or for determining whether your profile may be suitable for other available or future positions with the Kudelski Group. If your application is successful, your personal data may be further processed in connection with your employment relationship with the Kudelski Group, subject to the terms of your employment agreement. Your personal data may be shared with other persons involved in the recruitment process within the companies of the Kudelski Group in Switzerland or abroad, in particular in the event that your application relates to a job position available with such company or if the line management sits abroad. We process and store your personal data at our Headquarters in Switzerland and retain it for as long as is necessary for dealing with your application. We have put in place appropriate and necessary measures to ensure the confidentiality and security of your personal data. If your personal account remains inactive for a period exceeding 12 months and your initial application is no longer pending, you will receive an email requesting whether you want to keep your personal user account. A negative answer or failing a reply within 30 days will lead to your personal user account be automatically deleted. Maintaining an updated personal user account enables us to contact you at any time for job opportunities. If you do not wish that we retain your personal data for future job openings, you can demand that your personal user account and related personal data be deleted from our database by addressing your requests in writing to careers@nagra.com. - the right to object, on legitimate grounds, to certain data processing operations or ask us to restrict processing of your personal data. For further information on our personal data collection and handling practices online, please send your inquiry to privacy@nagra.com.